Carlsbad, Calif. [27 August, 2013] — Emerson Network Power, a business of Emerson (NYSE:EMR) and a global leader in delivering scalable embedded computing technology and power supplies for original equipment manufacturers in a wide range of industries, today released a new 300 Watt ac-dc power supply that will provide industrial and medical equipment manufacturers with a highly reliable single output power solution at a competitive cost. The LCM300Q-T-4 features digital control, enabling Emerson to use simple firmware updates to modify parameters such as peak load handling, special voltage control, and to create unique fan speed profiles. Emerson’s LCM300Q-T-4 is offered for a low single unit price of $170, with evaluation samples and production units available to order today. The latest in the company’s successful LCM300 series, this new model offers a 24 V output, which can be trimmed to ±20 percent, with 5 V standby. It does not require derating at low line and provides the full power across the input range 90 to 264 Vac. The compact 1U X 4 X 7 inch enclosed form factor includes a smart fan for self-contained cooling. The new LCM300 model features efficiency greater than 91 percent at full load, a typical power factor of 0.98, and a power density of 7.1 W/in3. 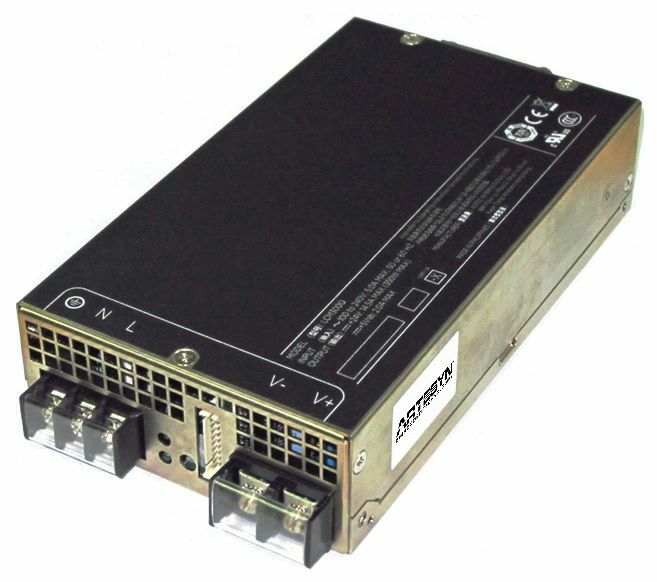 Backed by a comprehensive set of industrial and medical safety approvals, Emerson’s LCM3000Q-T-4 is ideal for light industrial applications and factory automation, including battery charging; non-patient contact and non-patient critical medical, dental and laboratory applications; as well as for telecom and datacom equipment. The MTBF of the LCM300 is greater than 500,000 hours, and all models in the series carry a manufacturer’s warranty of three years. A high resolution photo of the LCM300 is available.